Are you having problems with your water heater? Are you looking to upgrade your current heating system to newer ones? Forget about looking elsewhere; in Coral Springs, 4Star Plumbing Services is just one call away! We are your go-to solutions center for all things plumbing, heating, and piping in the Broward County, Pompano Beach, Pembroke Pines, Weston, Plantation, and Parkland areas. 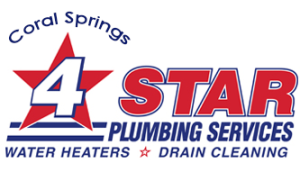 Our water heating solutions at 4Star Plumbing includes installation, repair, maintenance and replacement services. We also have an array of water heating systems to choose from including the energy efficient ones like tankless systems, solar heaters, and hybrid heaters and the ones that can merit with tax credits. Our services are available for residential as well as commercial spaces. 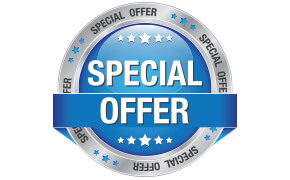 Where security and safety is concerned, we at 4Star Plumbing Services can fully assure you that our technicians can be trusted – having subjected to thorough background investigation along with their constant skills training to be able to give you the complete customer satisfaction. 4Star Plumbing technicians and customer service agents also make sure that you are aware of your plumbing situation and informed of all your options before they have you sign up for anything. We have literally everything you would need and ask for in a plumbing solutions and even more! Give us a call today at our South Florida hotline 954-776-9888 or drop us a quick service schedule request here!